This is great. Highly technological way of making rainwater tank is way to go for better water supply or drinking water ou of rainwater. This is the most popular post, mostly from searches. I would appreciate comments, what are you interested in? I own and use 7 tanks. One is 90,000 litres. I want to know what people are interested in about the tanks. It is great way to make the water tank and make it useful to save the rain water and use it for various purposes. I'd love more information on building a tank. The plastic ones I can get out here are very expensive, and I'd rather make something permanent I can fix myself than buy petrochemicals. I would also like to learn how to make something that isn't a plastic cistern. From what I've gathered, undergound water cachement systems are pretty ancient in design and practice. 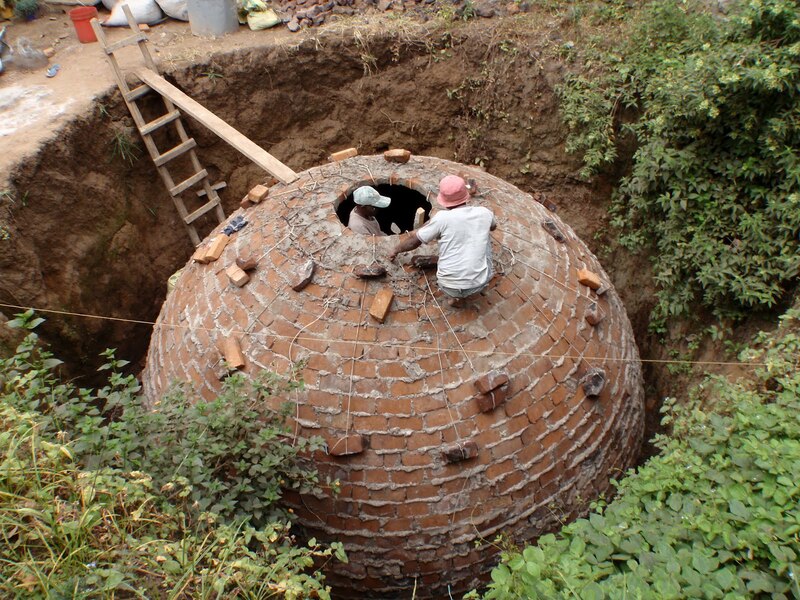 Every civilization had this kind of system, but I never knew this brick dome technique was founded in China. Most tanks in other countries are either made up of plastic or metal, so I guess the brick masonry for your tanks was just the practical utilization of local resources. Anyway, I'd really like to know more on how you designed the vaulted brick tanks. They look ingineous! 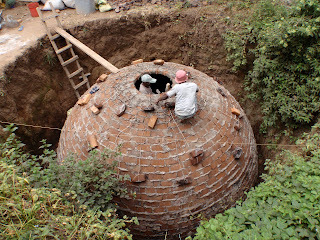 About China i was just saying china used underground domes for bio-gas production. Imagine many cultures had underground cisterns and domes been around a long time. Also here most people use poly plastic for water storeage above ground. my tanks are not vaults but domes. Vaults would have issues with the end walls needing designing so they dont colapse either direction. I see you do rain water storeage and storm water management. Interests me and i have posted some of what i do years ago. It's nice to know that you've been interested in storm water management systems. Can you direct me to your post about it? I'm really interested in knowing how your water systems work there, especially your domes. Thanks for the reply! sharon I checked and have a draft post but never finished. So I will work on it this week.